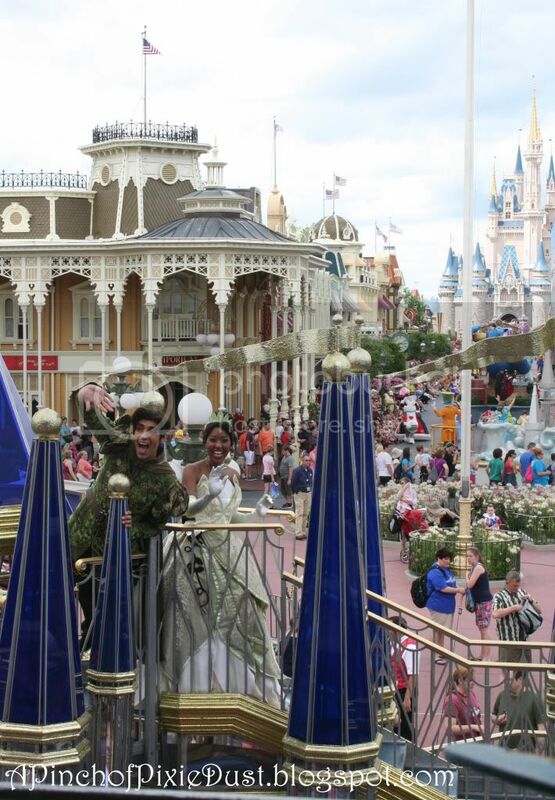 Disney and parades go together like peanut butter and jelly; and one of the most iconic processions at Walt Disney World is the 3 o’clock Magic Kingdom parade. 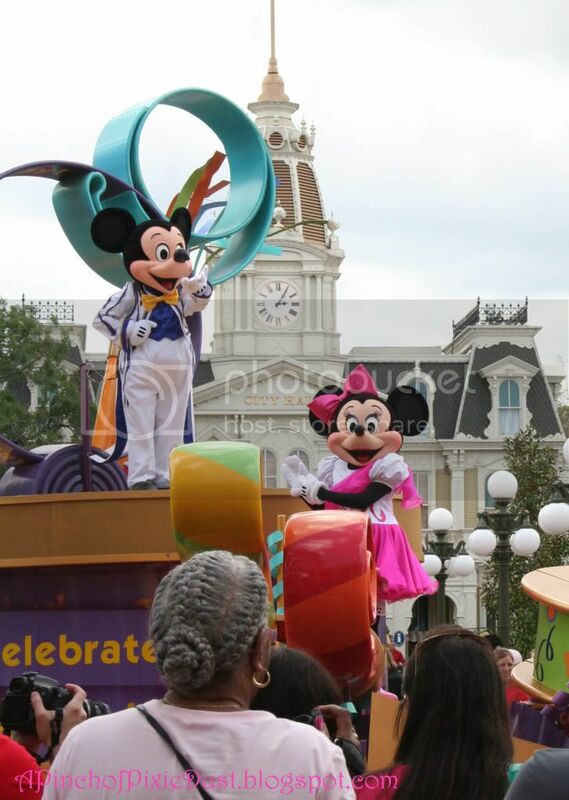 So today I thought I’d dedicate a post to the Celebrate a Dream Come True parade and put together some quick tips, a guide, if you will, to different parade viewing options. 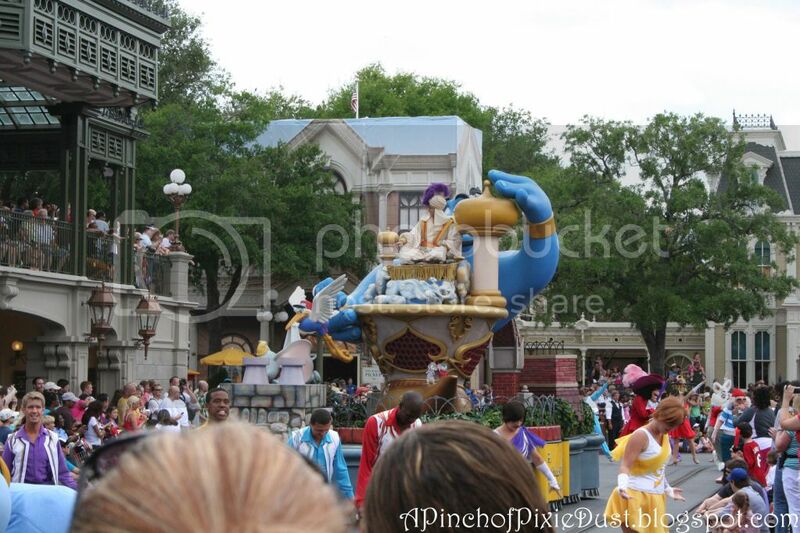 Depending on where along the route you decide to view the parade, you can get quite different parade perspectives. 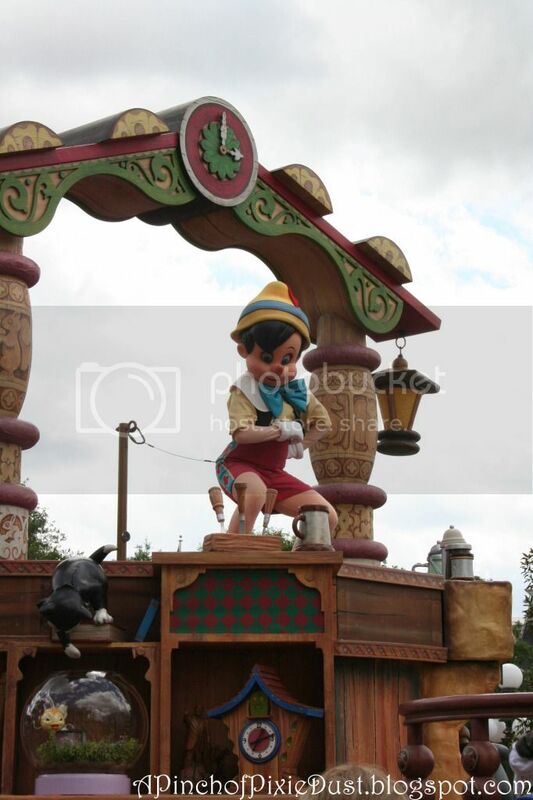 The following list is a run-down of the main viewing spots in the MK and some photos/thoughts on each. Don’t forget to chime in with a comment to share your own tips/favorite spots to watch! 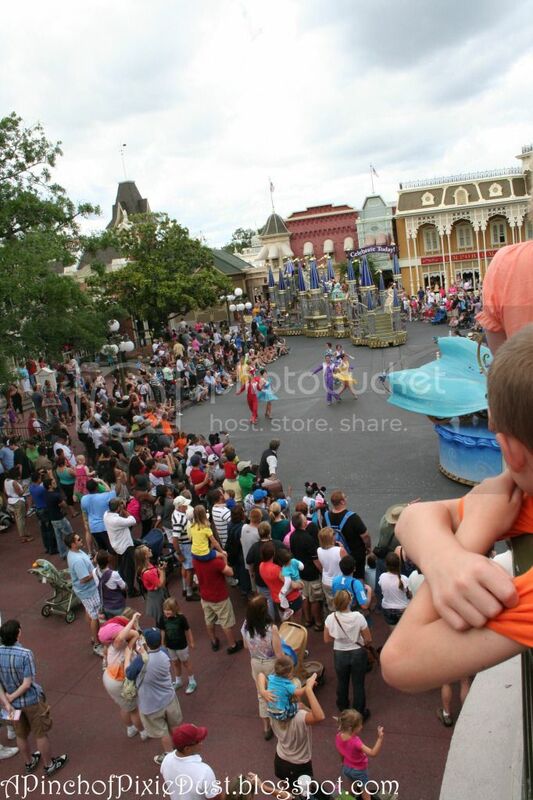 If you ever have happened to arrive at the Magic Kingdom just around 3 o’clock, you know what a magical, if crowded, welcome to the park the parade can be! 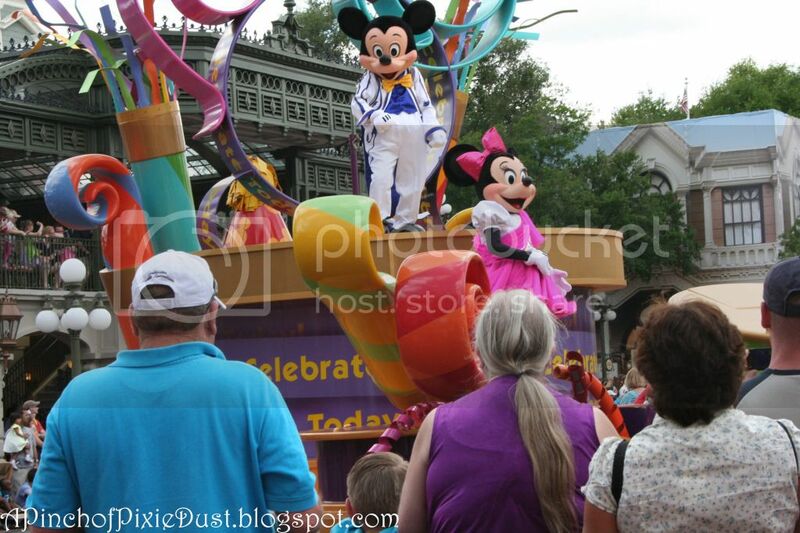 Even if you hadn't planned on seeing the parade that day, it can be fun to stop and watch! Parade viewing is a hot ticket, even during non-peak seasons, but I’ve often found Town Square is less crammed than other areas of the park come parade-time, and it’s easier to find a decent last-minute, walk-up spot. 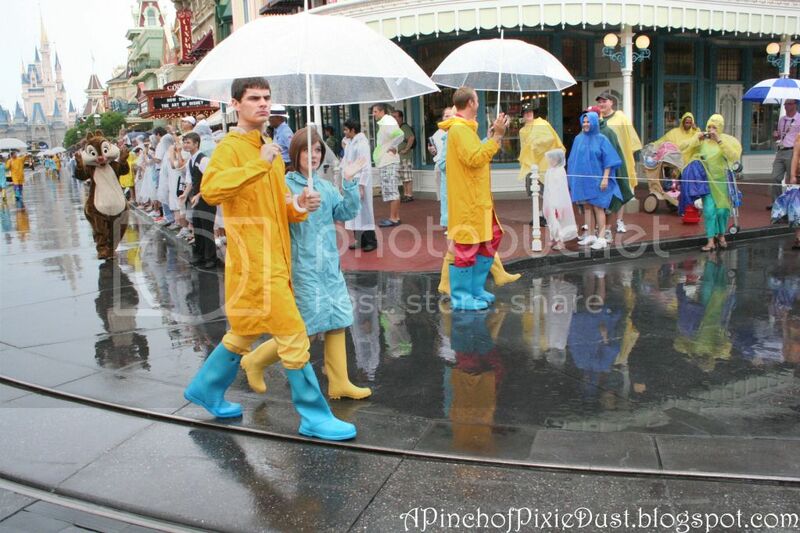 It’s also easier to escape from your spot once the show is over, especially if you’re planning on leaving the park right after the parade. 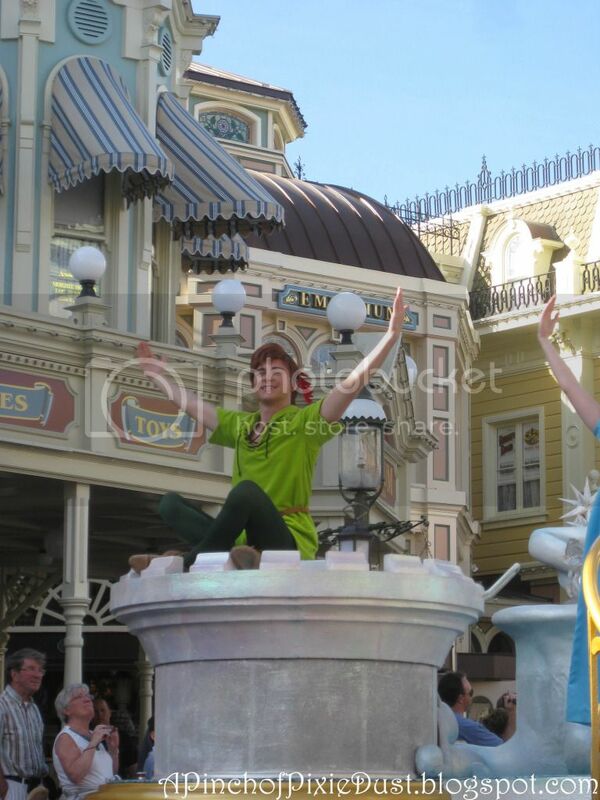 If you’re lucky, you’ll be able to watch the parade from sitting on the curb; but if you want an actual chair, you can find a few of them up on the train station balcony! Definitely arrive early for this parade spot, though, as there are only a handful of seats and even standing space is at a bit of a premium. The parade viewing from up top is really unique…you get an entirely new perspective on the floats and characters from above – usually you’re eye level with the characters on the floats, which is very cool. 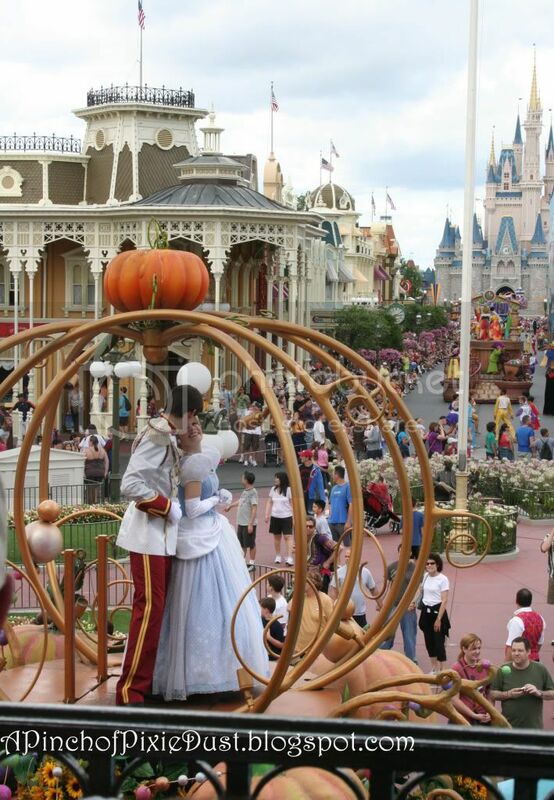 Plus you’ve got the castle right there down Main Street, so pretty for photos! 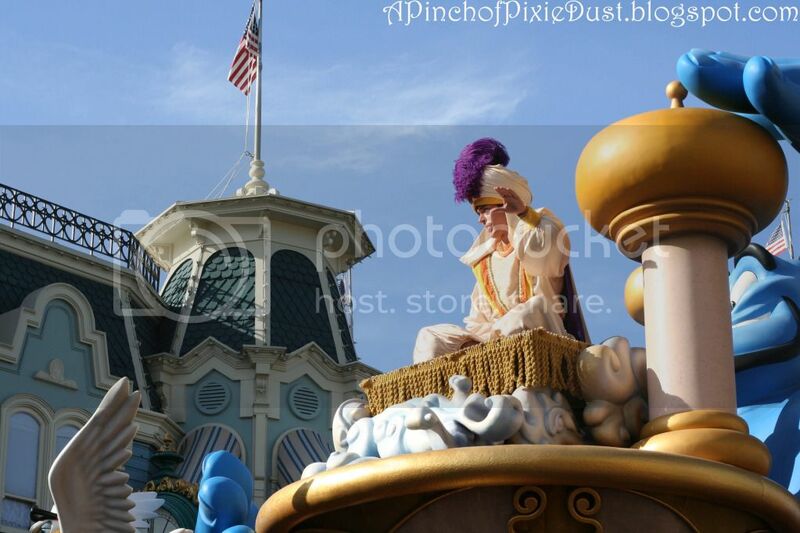 A spot on the curb on Main Street is classic parade viewing. You definitely have to arrive early to stake your claim - at really crazy busy times of year I’ve seen people waiting for the parade as early as three hours before! But usually just one hour before will do the trick. 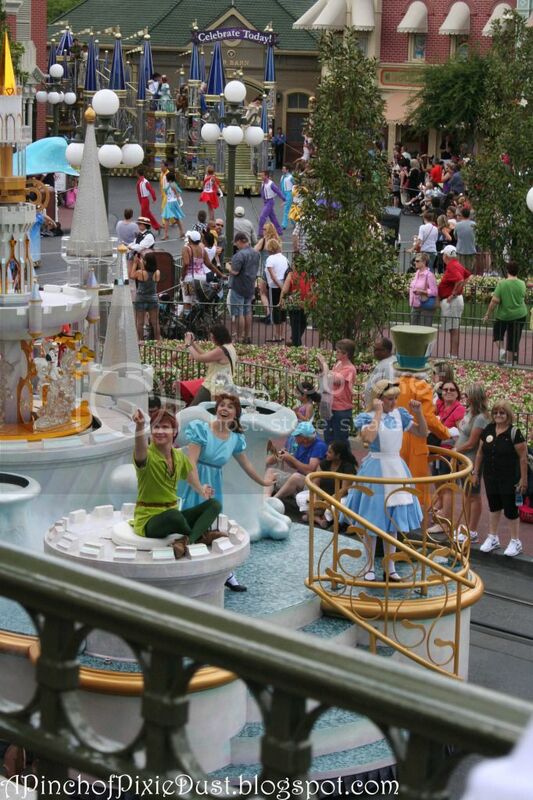 Curbside viewing means you get to interact with the walking characters, which can be a ton of fun! 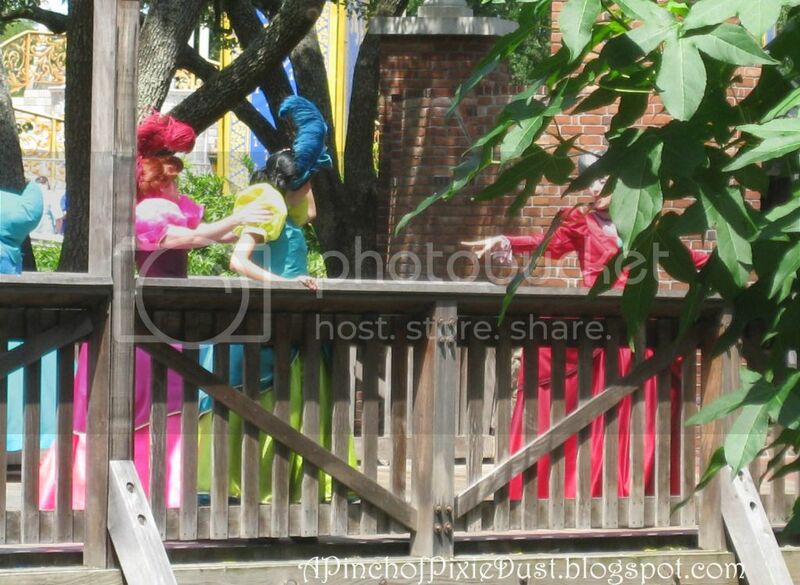 The stepsisters are especially hilarious, pictured above in Frontierland. 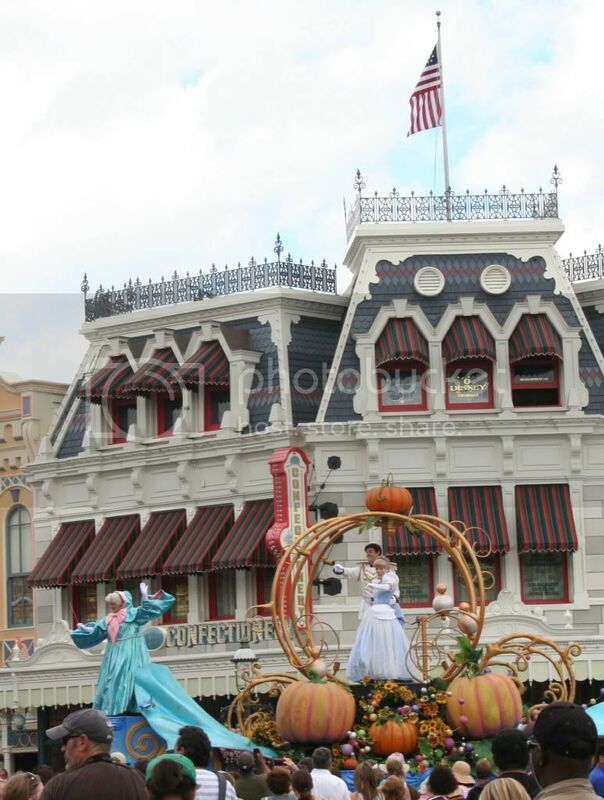 The Main Street buildings can make a great background for photos! 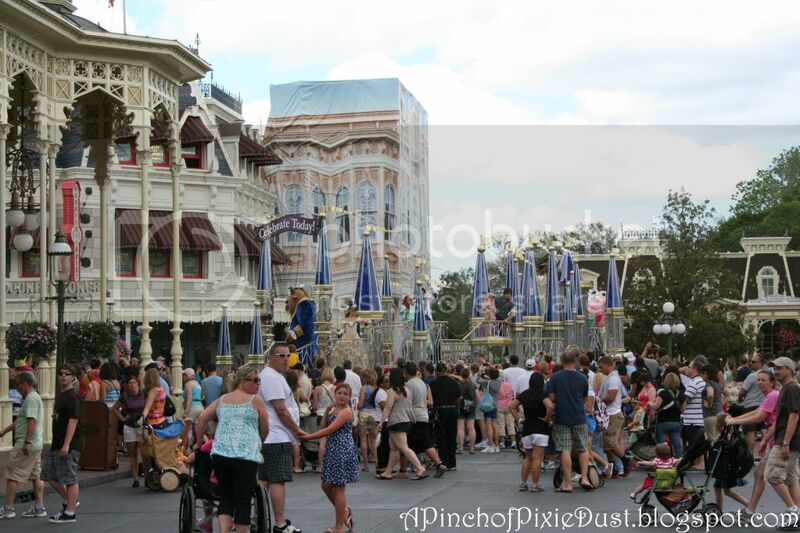 The hub is a very popular spot for watching the parade because you can get the castle forming a backdrop to all the floats. Spots facing the castle and right in front of the castle fill up very fast, so get there early! If you’re watching from the hub, it’s also a good idea to confirm which direction the parade is going so you can decide which side of the street/position will give you the best vantage. (If it’s coming from Frontierland, facing Liberty Square bridge can be a fun perspective, whereas if it’s coming from Main St., facing the train station gives you a fun view). 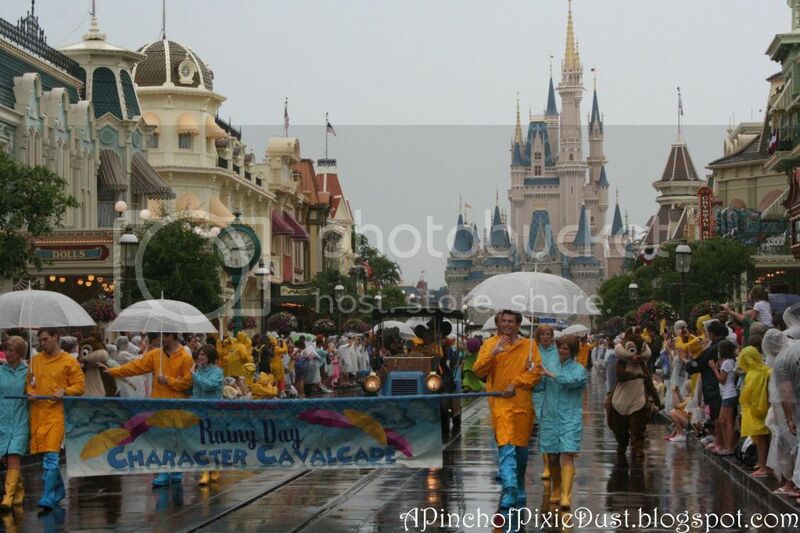 Sadly I couldn’t find any photos I’d taken of the parade from the hub :( , but the above is from the Disney World parade webpage has an old photo taken facing Tomorrowland. 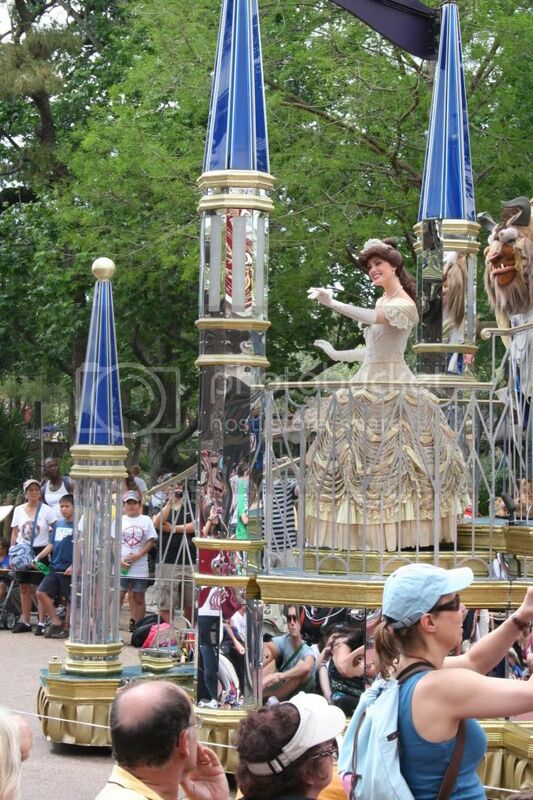 The parade viewing further back in the park avoids the madness of Main Street and is just as good. Crowds are usually thinner and often (though not always!) you can arrive a little bit later and still get a curbside seat. 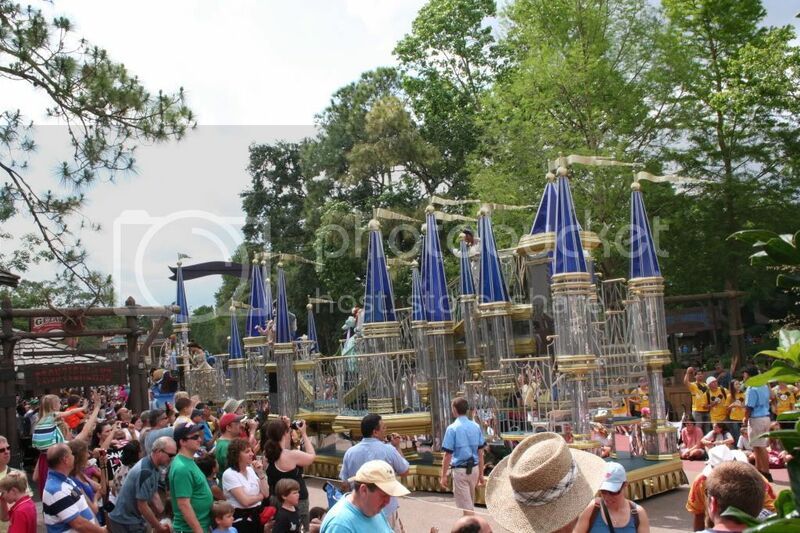 If you’re staying in the park to hit up a few more rides after the parade, Frontierland viewing is a great way to go. 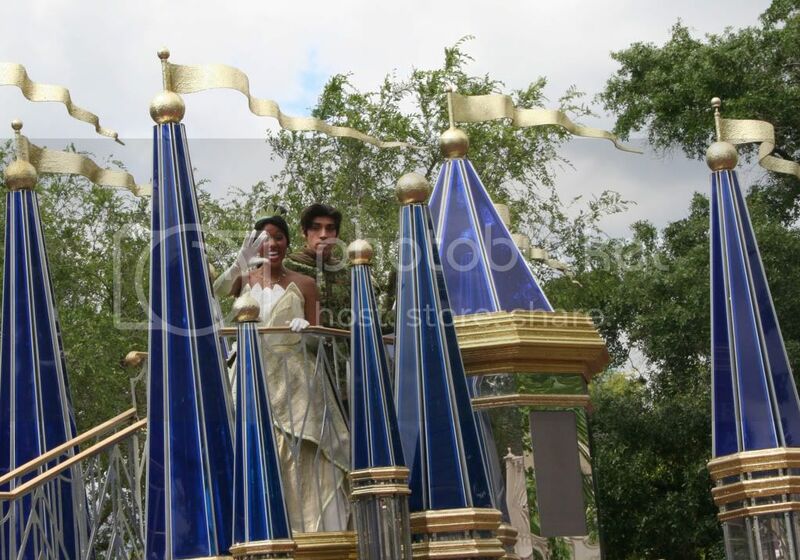 I love the backdrop the green leaves make for parade photos! 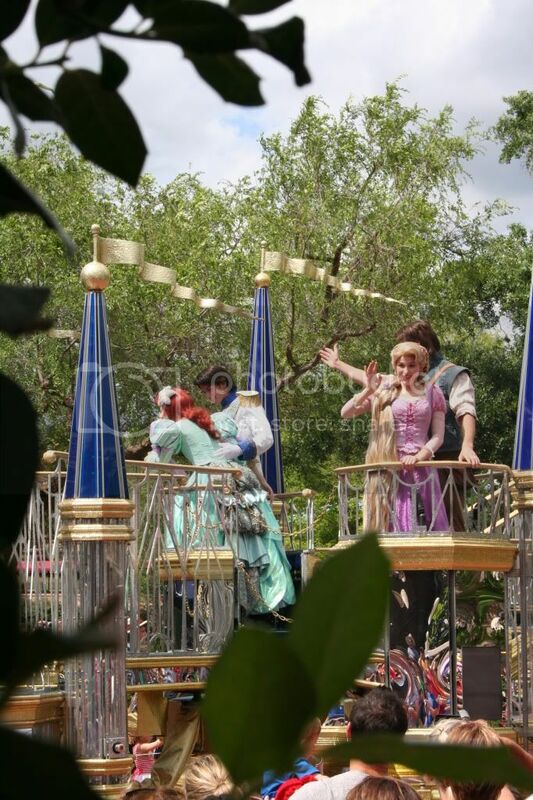 These pics were taken from various porches along Frontierland, near Liberty Tree and also in front of the Diamond Horseshoe Saloon. It can be good to plan out where you want to watch the parade in advance, but it can also be fun to discover some unexpected, unusual parade viewing too! 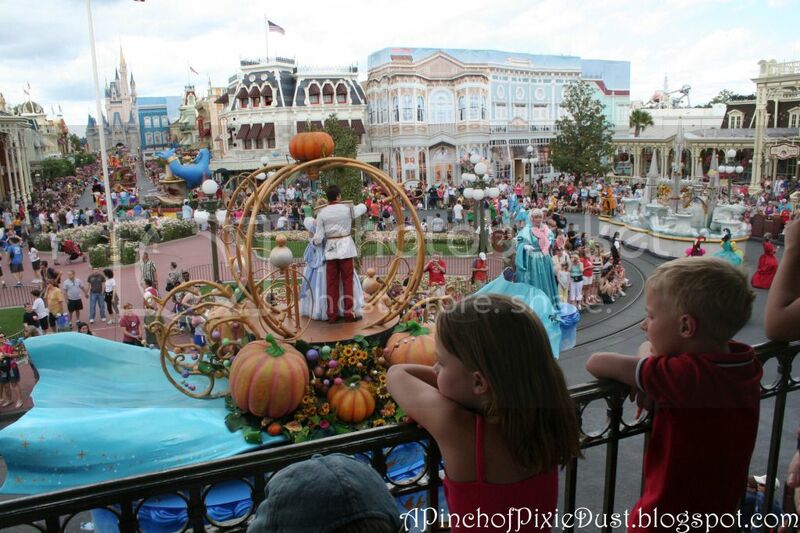 For instance, once my brothers and I were coming out the back entrance of the Christmas Shop (where Tiana's Garden is) - we were about to leave the park, but the parade was just passing, so we stopped right where we were and watched it cross the bridge. 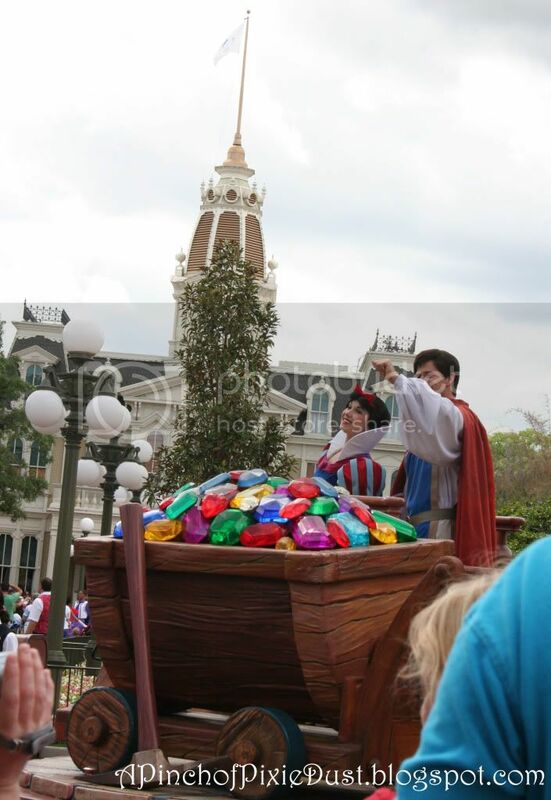 It was a really interesting perspective, seeing the floats pass in the shadow of the castle! 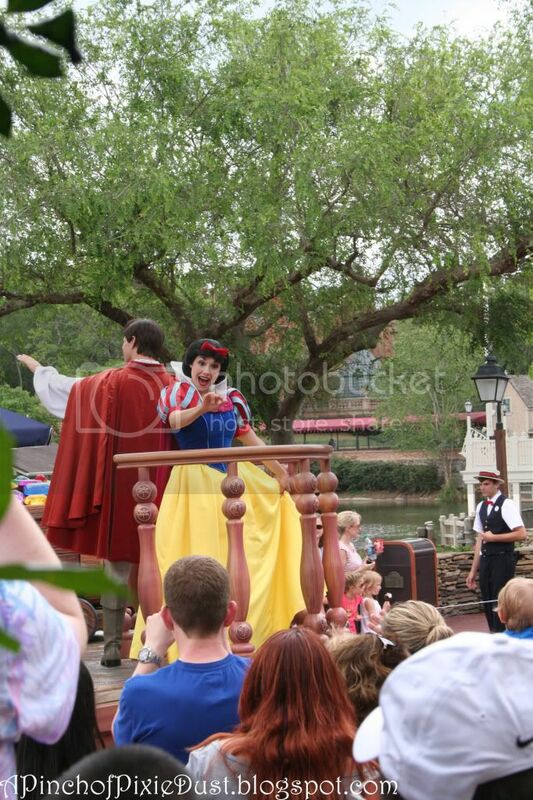 Here is Anastasia trying to push Drisella into the water. 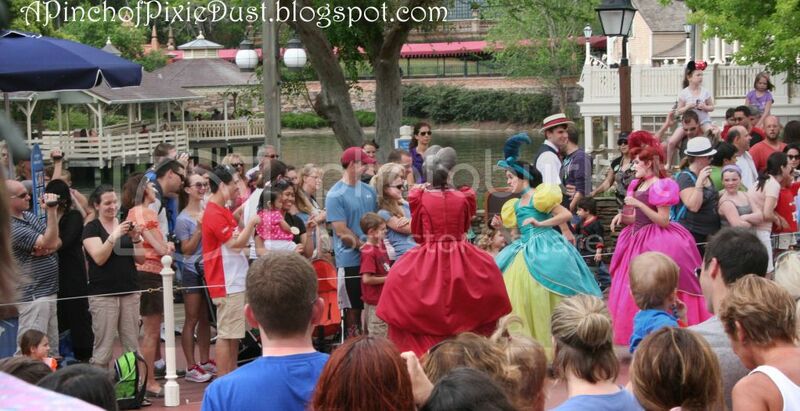 I'm not sure if Lady Tremaine is ordering her to stop or continue - lol! Another unplanned parade view I found was this one, from near Town Hall, after the parade had already passed through Town Square. 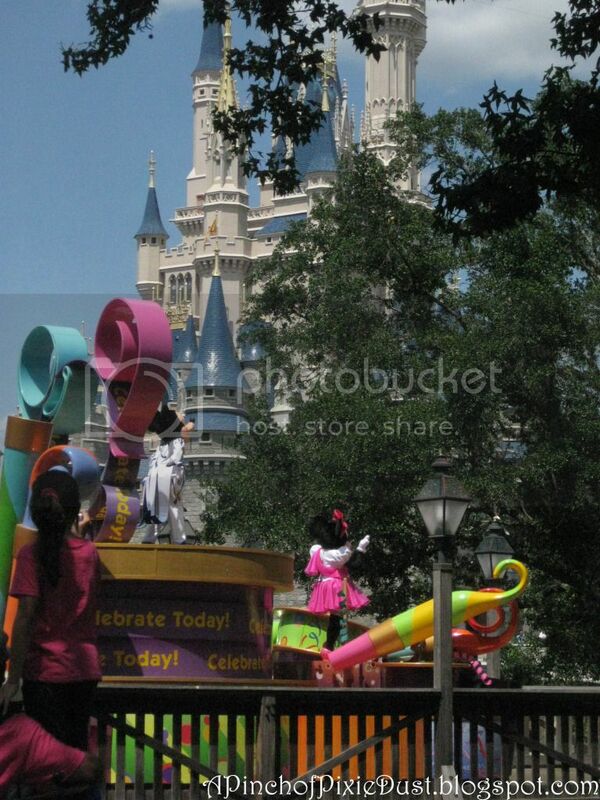 Just a glimpse of the parade in the distance can be so pretty! 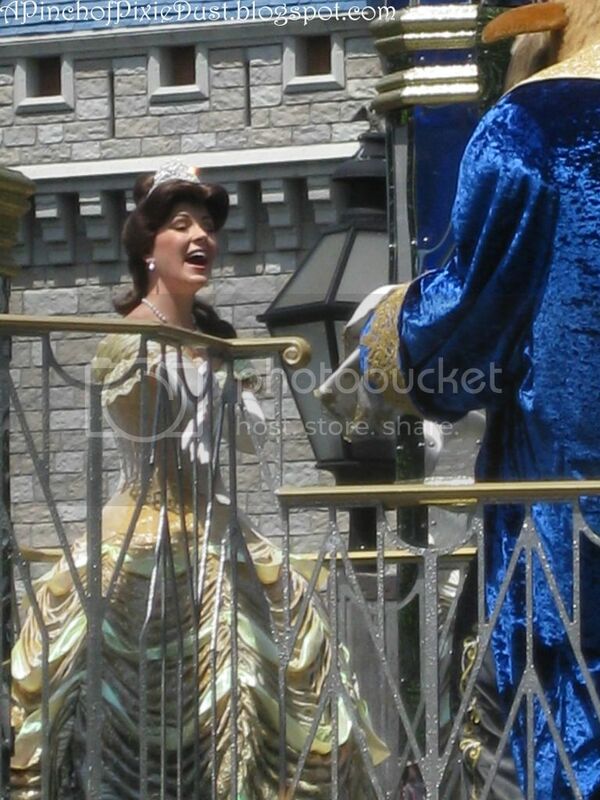 I love how the fairy godmother is really workin' it in this photo, lol! SO. 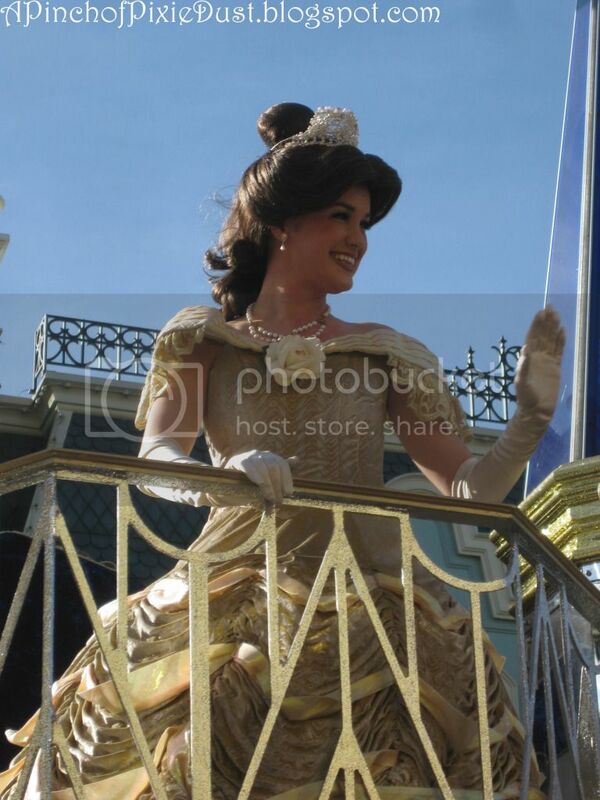 Now I want to hear: what parade perspective do you prefer? 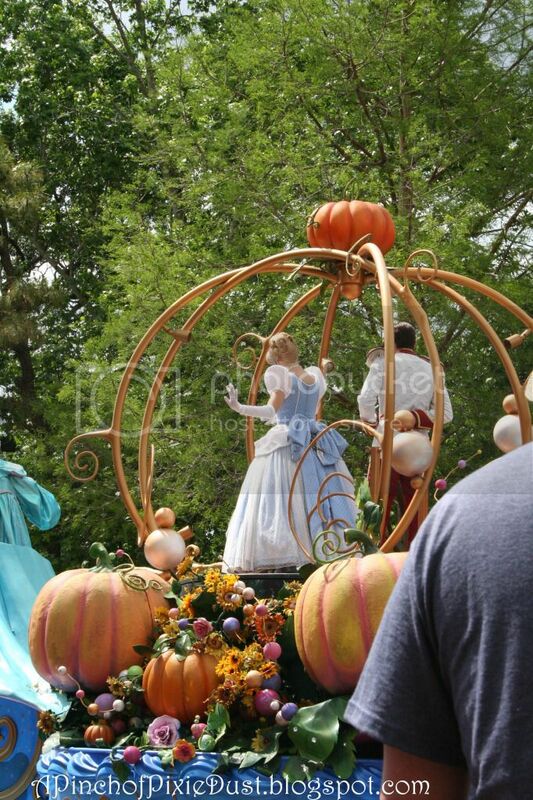 What are your parade viewing tips and tricks? ?